The CanBeam light was designed by then schoolgirl Tulsha Booysen in response to the brief for the Nando’s Hot Young Designer Talent Search. 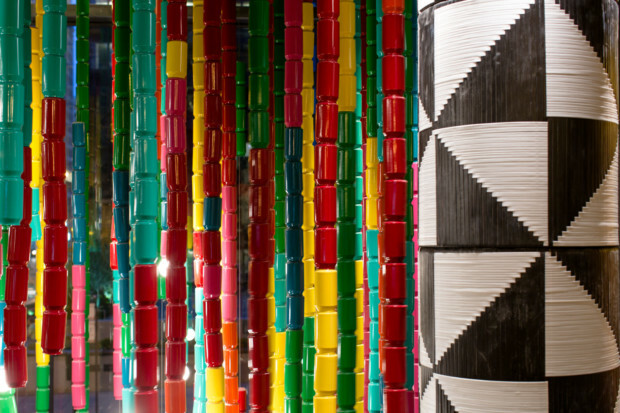 Now this functional 21st Century interpretation of traditional African beadwork rendered in 6 800 upcycled cool drink cans is a major design installation in Nando’s Michigan Street in Chicago. We chat to the ingenious young designer about using what you have to get where you want to go. 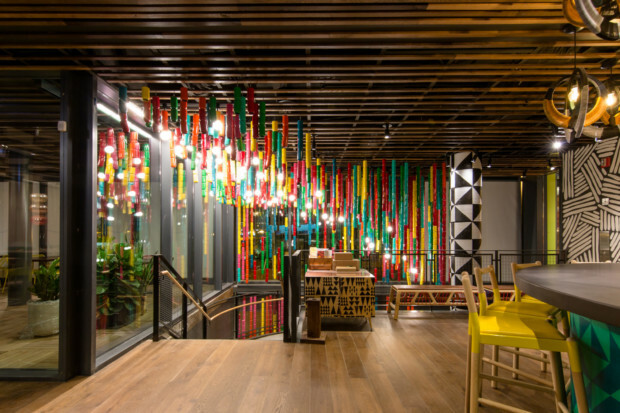 Q: The Can Beam light has taken you from a Nando’s Hot Young Designer finalist in 2015 to Chicago for a recent mammoth installation of the light! How did this remarkable journey begin? A: ‘I want to be a designer and I will be!’ was the ambition that began this journey. 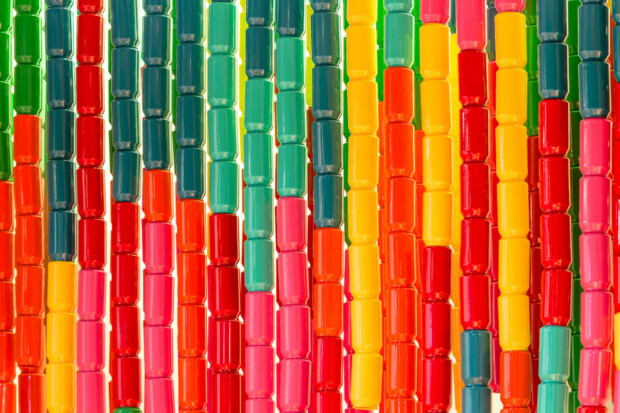 In 2015, when I was still at school, I designed a concept for the ‘CanBeam’ light as my entry for the Nando’s Hot Young Designer Talent Search, using upcycled cool drink cans as beads. I’m passionate about upcycling, and the empty cans were easily available and allowed for a budget-friendly design concept. I gave a lot of thought to the name of the design, and I hope it encapsulates the spirit of my journey as well as the light itself. The idea was that the name ‘CanBeam’ tells its own story, referencing the cans from which it is made and its functionality as a light. Metaphorically speaking the ‘Can’ stands loud and proud and represents an individual, whilst the ‘beam’ that each light casts represents the light that an individual shines. I hope everyone who sees it takes that message to heart. Q: Your initial entry concept was a sketch. What happened once you’d made it through the judging and became a Nando’s Hot Young Designer Talent Search finalist? A: As a finalist I had the opportunity to work with a mentor, Liani Douglas, as well as with interior designer Tracy Lynch and lighting designer Conrad Van der Westhuizen, to develop a prototype of the CanBeam. It was a big learning curve and an incredibly enabling collaborative experience to draw on the expertise that was so generously shared. 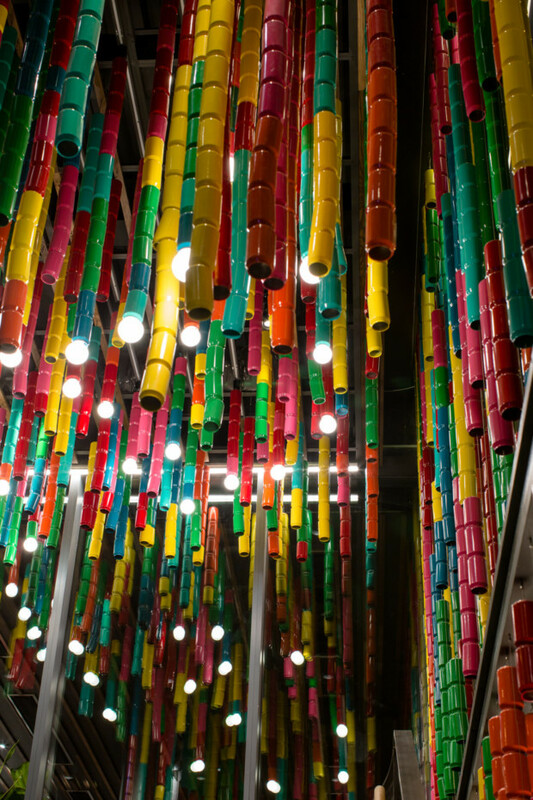 It resulted in a CanBeam design that uses upcycled soft drink cans as modular ‘building blocks’ strung together. 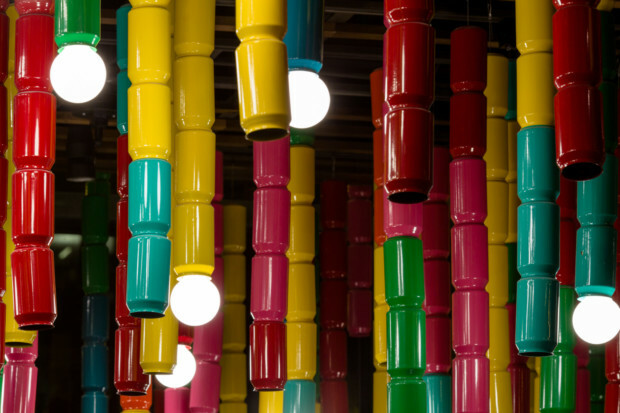 This modular element allows endless CanBeam configurations so while the prototype consisted of an 8-unit composition, the CanBeam could also be produced as a single pendant or a larger installation in a range of colourways. Q: Your CanBeam adventure seems to have continued to interesting places…? A: Yes, in 2017 I had the opportunity to collaborate with another Nando’s Hot Young Designer finalist on a design installation at the Basha Uhuru Freedom Festival at Constitution Hill. Shortly after that I travelled to Nando’s Michigan Avenue in Chicago for the installation of a mega-mega version of the ‘CanBeam’ light featuring 6800 cans. Q: Were you involved in the actual installation of this mega CanBeam? 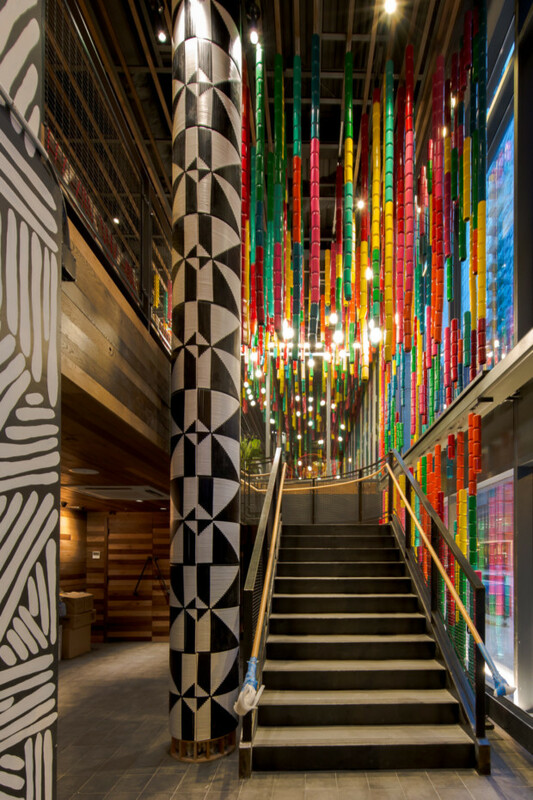 A: Yes, I was involved in the final installation at Nando’s Michigan Avenue, which was great fun! The vibrant colours of the cans stood out for me as a true realisation of my Rainbow Nation inspired entry concept for Nando’s Hot Young Designer Talent Search. Seeing the CanBeam on such a grand scale was mind-blowing. Q: A performance by Chance The Rapper at Nando’s Michigan Avenue brought queues of fans to the CanBeam installation. Tell us about that. A: I was absolutely ecstatic when I heard he would make an appearance at the opening of this new Nando’s store. I overheard the head of marketing and the PR officer discussing where Chance The Rapper should be seated and I asked there and then if he could be seated in front of my lights. I was over the moon to see several pictures of him on social media performing in front of my lights. Q: As a young South African designer, how has stepping up to the creative challenges of Nando’s Hot Young Designer Talent Search changed your life? A: Earlier I thought design was about products, but after meeting and collaborating with strong, creative and beautiful minds, such as Aria Design agency in Chicago with whom I collaborated to create the large-scale CanBeam, Liani Douglas who mentored me during and after Nando’s Hot Young Designer Competition, and Tracy Lee Lynch who opened the design door and has helped me grow immensely as a designer, I have come to learn that design is about creating a life that is better for everyone. It has been a truly life-changing journey. Q: Now that you’ve had time to settle back into Cape Town and reflect on your experience do you personally experience South Africa and South African creativity any differently? A: When I was overseas I realized that no challenge is too big to accomplish, however I have come to appreciate our local diversity even more, and that home is truly the heart of creativity. 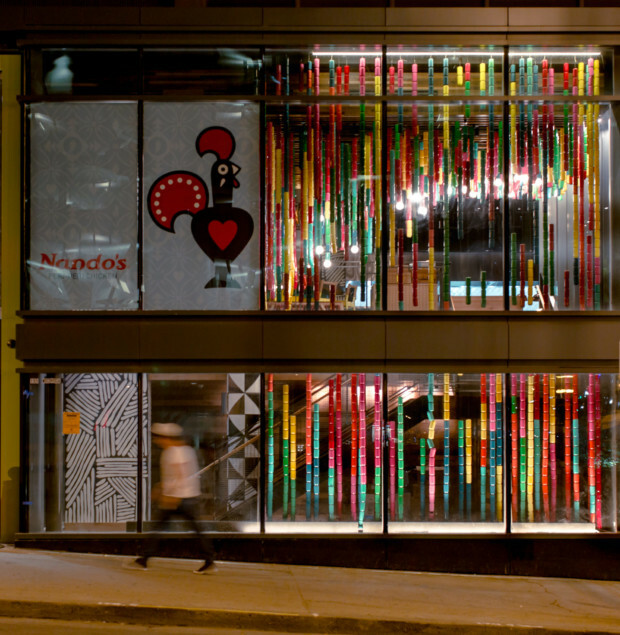 The CanBeam can be seen at Nando’s Michigan Avenue in Chicago, USA. 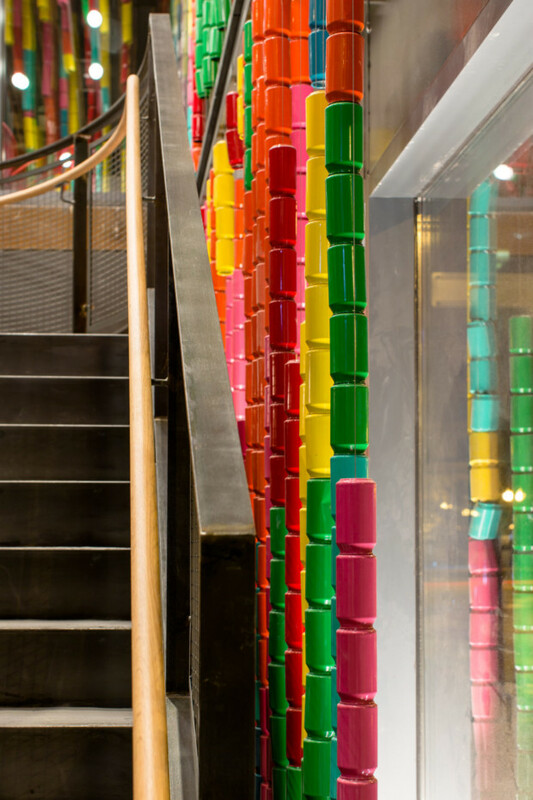 Locally, look out for the CanBeam at Nando’s Seapoint and Nando’s Tokai in South Africa.